10 years ago, Beneteau was the first boatyard in Europe to decide to use the IPS (Inboard Performance System). Today, their experience in this field is unrivalled on the market. Six different hulls have been specifically developed for this engine by the Beneteau design office, in close collaboration with Volvo’s teams. 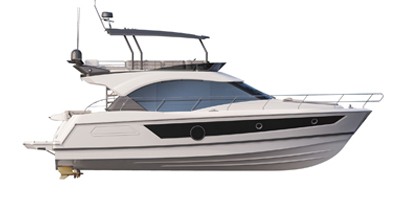 Unique hulls have been designed for the Monte Carlo, Gran Tursimo and Swift Trawler ranges, all with varied programmes. Today, the Volvo IPS engine is compatible with the latest generation of Air Step® planing hull. Developed on the Gran Turismo 46, this combination makes for safety and perfect manoeuvrability underway. This perfect combination promises real driving pleasure.